If you are looking for truly authentic stand-up bass, then this is the loop download for you! This library consists of 300+ loops spanning 4 styles and a variety of keys and BPM. Styles include Swing, Jazz, Funk, and Blues. 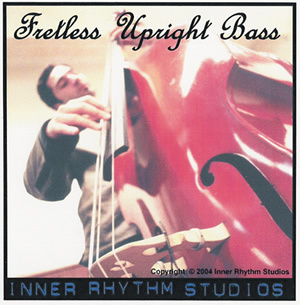 Fretless Upright Bass was recorded with a Cremona ¾ size upright bass. A custom upright bass pick-up and an AKG microphone were used simultaneously. The combination of these two signals resulted in a deep, rich bass tone while still maintaining superior upper end. This CD delivers pristine upright bass in it's driest form. No effects were used in production. Use the button below to sign up for our newsletter and receive a free loop CD download! Do you want to become a reseller/affiliate and get 55.0% provision? Bass Loops 1 acid loops;bass loops;garageband loops;upright loops 828161 33.99 irstudios Fresh Download Available!